Airlines-Manager.com • Afficher le sujet - Help us test Airlines Painter! Help us test Airlines Painter! Re: Help us test Airlines Painter! 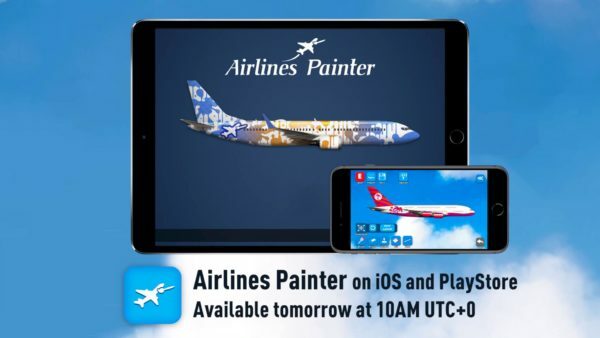 Airlines Painter will be available tomorrow, at 10AM UTC+0 on iOS and Android! Moreover, if you download Airlines Painter tomorrow, you will win a small gift on your Airlines Manager account! IE : The Web version will be released in late April or early May. This app is great I was able to create liveries quickly and easily. Also the ability to upload own graphics makes this truly fun. One suggestion though is can we have an easier time painting winglets on planes like CS300? One has to zoom in to max and finger paint very, very carefully to avoid painting over the fuselage as well. Hi just wondering if there’s going to be an update to the painter app, as currently the 2 new aircraft are not available for painting yet.